We are a leading Travel / Travel Agents / Transportation Services of haridwar rishikesh holiday packages, rishikesh haridwar holiday package, north india holiday packages and har ki pauri haridwar holiday package from New Delhi, India. Breakfast at the hotel and thereafter leave for a full day sightseeing of the Region of Shekawati. Lunch during the course of the sightseeing. Return to the hotel in the evening. Dinner and overnight at the hotel. Breakfast at the hotel and thereafter leave for Jaipur. Arrive in time for lunch at a local restaurant and thereafter visit the City and Palace of Jaipur. Leave for the small town of Karauli and arrive in time for lunch at the Palace. Thereafter visit the Fort of Karauli and the colourful bazaar. Breakfast at the hotel. Leave for Delhi and arrive in time for lunch at a local restaurant. Thereafter transfer to the Railway Station and leave for Haridwar. Upon arrival at Haridwar, transfer to Rishikesh ( 30kms from Haridwar ). Vegetarian lunch at the Hare Rama Hare Krishna Ashram. Thereafter excursion to Haridwar to visit the principal Temples of this holy city.Then return to Rishikesh and visit this centre of meditaton made famous by The Beatles. In the evening, witness the ceremony at Triveni Ghat at sunset. Rishikesh is 24 kms from Haridwar. This town is famous for the Tapo Bhumi or the place for meditation. 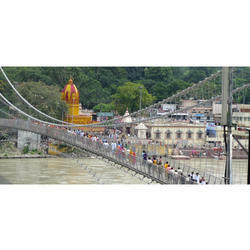 Rishikesh is popular as a place of pilgrimage and meditation for Hindus. The Ganges leaves the mountains here, and prepares for a long jorney across the plains to Kolkata.Being the last town easily accessible before gaining altitude, Rishikesh is really worth visiting for its beautiful scenery and to experience the rhythm of spirituality. Rishikesh is one of the major attractions in North India, made â€‹â€‹famous by the Beatles in the 1970s. Its history and religious atmosphere are worthy of those of Benares (Varanasi). It is easily accessible from Delhi and allows one to experience the mountain scenery, as well as the fervour surrounding the source of the Ganges. Breakfast at the hotel and theafter proceed for a full day sightseeing of Old Delhi and New Delhi. Lunch in a local restaurant. Dinner and overnight at the hotel. Early breakfast at the hotel. Transfer to the airport and leave by flight for Bagdogra. Upon arrival, continue by road to Darjeeling and arrive in time for a late lunch at the hotel. In the late afternoon, walking tour of the Darjeeling market. Dinner and overnight at the hotel. 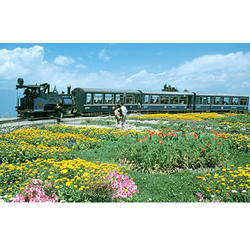 Breakfast at the hotel and thereafter leave in the Toy Train upto Ghoom Railway station. Then return by road to Darjeeling for lunch at the hotel. Afternoon visit of a tea plantation. Dinner and overnight at the hotel. AT DAWN, leave for Hill to witness a superb sunrise over the Himalayan Mountain range and Mount Kanchenjunga. Thereafter walk down the hill and visit the GHOOM monastery. Return to the hotel for a late breakfast and then visit the town and neighbouring regions of Darjeeling. Lunch at the hotel and afternoon at leisure ( Possibility to visit the â€œHimalayan Mountaineering Instituteâ€ ). Dinner and overnight at the hotel. Early breaks tat the hotel and then leave via the Tekvar tea plantation for Jorethang ( Frontier of Sikkim ). Lunch at Jorethang and thereafter continue to Pelling and arrive in the evening. Dinner and overnight at the hotel. Wake up at dawn to witness the sunrise over the Himalayan Mountain range. Breakfast at the hotel and leave for the sightseeing of the PEMAYANGTSE Monastery and the ruins of Rabdentse, the ancient capital of Sikkim. Lunch at the hotels and afternoon at leisure. Dinner and overnight at the hotel. Breakfast at the hotel and thereafter leave for Gangtok, the capital of Sikkim. Stop for lunch at a small family restaurant in the village of Rabongla. Arrive Gangktok late in the afternoon. Dinner and overnight at the hotel. Breakfast at the hotel and thereafter leave for the sightseeing of the monasteries of PHODONG and LABRANG. Return to the hotel for lunch. Afternoon city sightseeing of Gangtok and the monastery of ENCHEY. Dinner and overnight at the hotel. Breakfast at the hotel and then leave for the sightseeing of the monastery of RUMTEK. Continue to the village of Martam and arrive in time for lunch at the hotel. Afternoon at leisure to visit the walk through the fields and countryside of Martam. Dinner and overnight at the hotel. Breakfast at the hotel and morning at leisure. Lunch at the hotel and then leave for Kalimpong and arrive in the evening. Dinner and overnight at the hotel. Haridwar or 'Gateway of the Gods' is ranked among the seven most religious cities according to Hindu mythology, as the Gods are believed to have left their footprints in Haridwar. Thanks to its geographical location, Haridwar is the gateway to the other three important places of pilgrimage such as Rishikesh, Badrinath and Kedarnath. 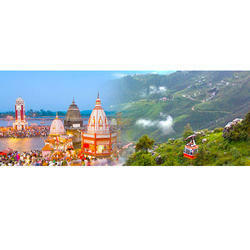 Haridwar has always been a major religious city for Hindus. 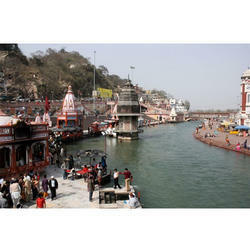 Hari-ki-Pauri is the most important 'ghat' of Haridwar. The 'Aarti' ceremony on the Ganges is celebrated daily in the evening. This is an awe inspiring show, when the ceremony is performed at all the temples of Haridwar at the same time. Hundreds of people participate in prayer on the ghats of Hari-ki-Pauri.